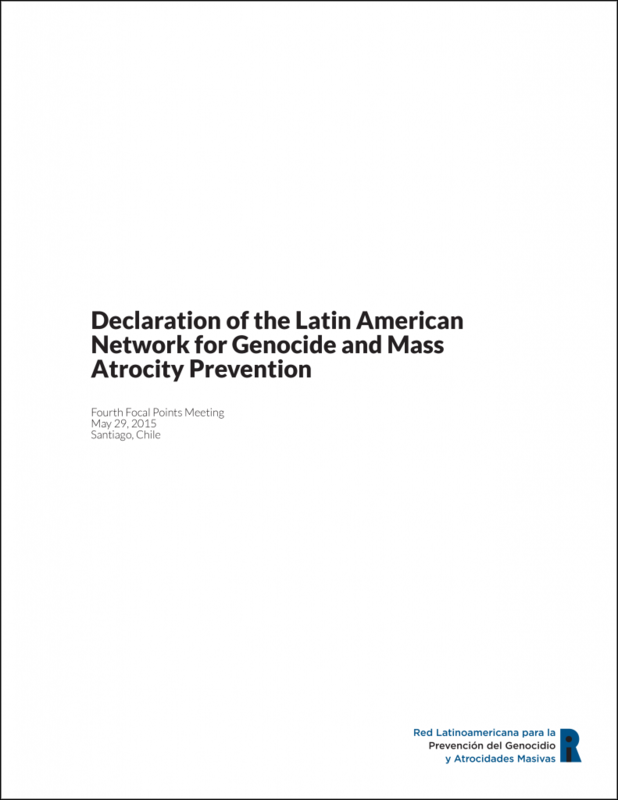 The Auschwitz Institute for Peace and Reconciliation is pleased to share the text of the recently adopted Declaration of the Latin American Network for Genocide and Mass Atrocity Prevention. The Declaration was adopted within the framework of the IV Focal Points Meeting of the Network that took place on May 29, 2015 in Santiago, Chile and represents a further step towards the consolidation and formalization of the objectives and areas of work agreed upon by the Focal Points at the launch of the Network in March of 2012. AIPR, in its role as the Technical Secretariat of the Network, would like to take advantage of this opportunity to express its unwavering commitment to continue supporting genocide prevention efforts in Latin America. The Declaration is also available in Spanish.